Naval engineers from over 18 countries are currently gathering in Glasgow for the 14th International Naval Engineering Conference (INEC) which starts today and runs until Thursday 4th October. The schedule is busier than ever with over 100 presentations, the Sir Donald Gosling Award for authors 35 or under, an exhibition, networking events and a STEM outreach day for local students. If you’re attending the conference, then please come and visit us on our stand in the main exhibition area next to Speakers’ Corner. Following the launch of Illusion Plus – the largest yacht ever to be built in Asia – Pride Mega Yachts has unveiled its new concept Project San Bao at the 2018 Monaco Yacht Show. The design is a unique collaboration between naval architects Steller Systems Ltd., yacht managers Andrew Weir Yacht Management, exterior designers Rainsford Mann Design and interior designers David Chang Design Associates. The model is currently available for viewing on board Illusion Plus, which earlier in the week won the 2018 MYS Interior Design Award. Many congratulations to Pride Mega Yachts, Rainsford Mann Design and the team! Steller Systems will be presenting at the 14th International Naval Engineering Conference and Exhibition (INEC) in Glasgow on Wednesday 3rd October 2018. 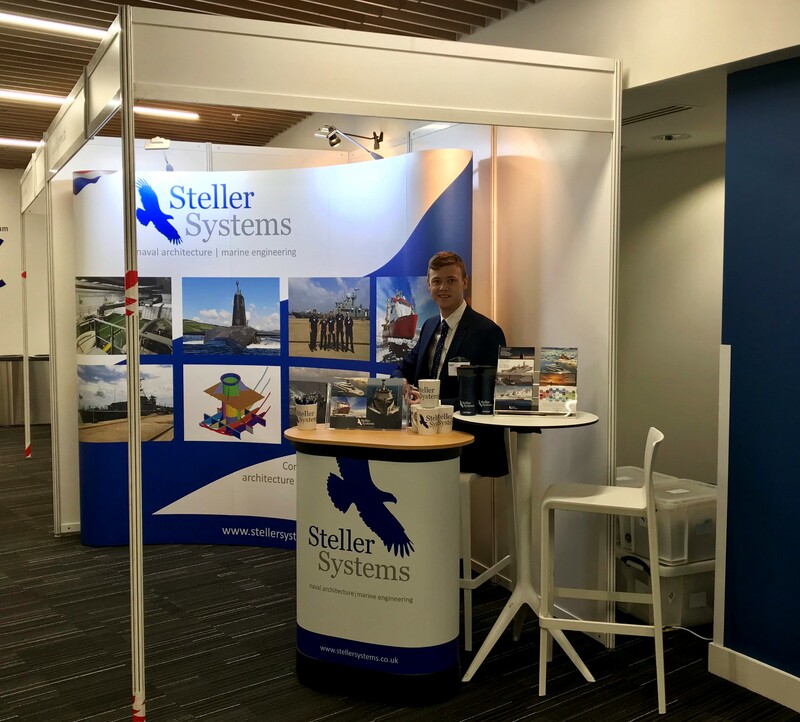 Steller Systems’ Naval Architect George Payne will be presenting alongside MOD Graduate James Wright, who earlier this year conducted a six-month placement at Steller Systems. Their joint paper, The High-Capacity Expanding Lifeboat HiCEL – Meeting the Modern Search & Rescue Challenge, presents a concept for an innovative, high-capacity lifeboat capable of accommodating up to 500 people. Despite its capacity, the design fits within the space envelope of conventional lifeboats, and so can be launched and retrieved using existing lifeboat davits on a wide range of vessels. This is a design that has been developed to meet the challenges of the migrant crisis in the Mediterranean in a pragmatic and cost-effective manner. The conference, which is organised by the Institute of Marine Engineering, Science and Technology (IMarEST), takes place from the 2nd to the 4th October 2018 in Glasgow, UK. Steller Systems will also be exhibiting at the conference, so please come along and meet members of the team. This week we say goodbye to summer interns James Clarke and Ben Pickering. James and Ben have quickly become an integral part of the team and have contributed to some of our PV-funded projects. Many thanks James and Ben for all your hard work, and best of luck with your final year of naval architecture studies at the University of Southampton. 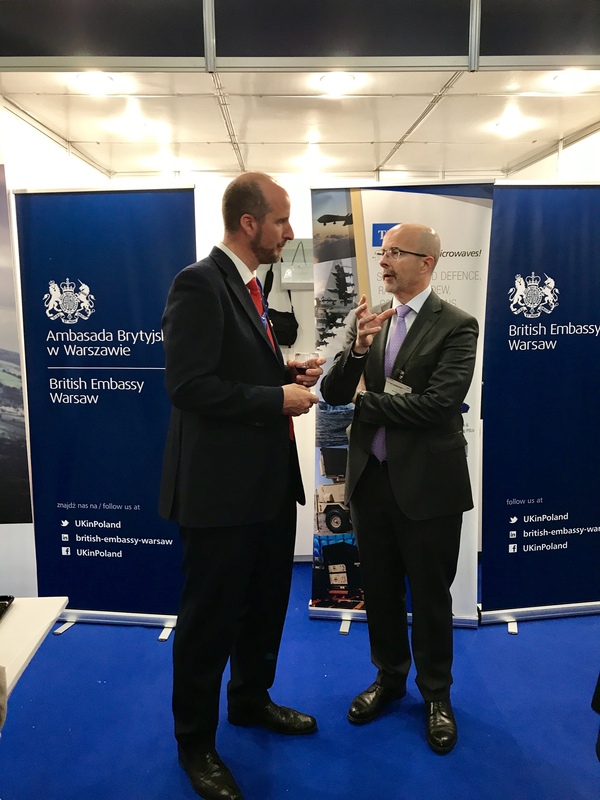 Steller Systems has been discussing our support to the Polish Navy with the UK Ambassador to Poland Jonathon Knott at the 26th International Defence Industry Exhibition (MSPO). Many thanks to the Ambassador and his team for their support. If you’re visiting MSPO this week then please come along and visit us in the UK Pavilion in Hall D.